"There is no more important aspect of anyone’s life than the human interaction we call 'relationship.' Without an important relationship with something or someone, we are nothing." This statement comes directly out of the Conversations with God dialogue. It is only through our relationship with those we love—including, hopefully, ourselves—that we can express and experience the wondrous joy of life. 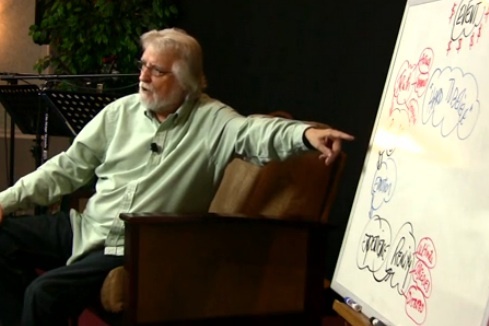 Neale Donald Walsch has only once before presented a full-scale spiritual renewal retreat focused specifically on the subject of relationship. He is doing so again now, in response to the many requests he has received from CWG readers to share his understanding of how the messages of these extraordinary dialogues may be effectively applied to what can be for many among the most challenging experiences in life: their relationships with their Significant Other, with their children and other family members, and even with their bosses or colleagues at work. Neale will work in a direct and very personal way to help members of the group deal in a new way with whatever frustrations or circumstances that may now be facing them—as well as to create the relationship of which every person dreams, and how to transform a present relationship into a joyous, fulfilling, and rewarding experience. You're invited to join us for three days and evenings that could alter your experience of relationship forever for the better. DATES: Friday, August 9 through Sunday, August 11, 2019. FLEX-PRICING DETAILS: We are happy to announce our Flexible Pricing Options for this and other similar workshops. All you have to do is select the price that you feel is most appropriate to you given the value you place on such a program and your own financial means. The Rogue Regency features a full service restaurant offering vegetarian and non-vegetarian fare, beauty salon, barbershop, massage therapist, indoor heated pool, spa, terry bathrobes and feather pillows in all guest rooms, with optional two-room suites with hot tub and fireplace at a slightly higher price (see all the amenities at https://rogueregency.com/amenities-services/), plus free transportation to and from the Medford Airport (MFR), five minutes away. Call them to arrange pick up: 541-770-1234. Payment is required in full at time of registration. A cancellation fee of 35% of the amount you choose in the Flex-Plan will be charged for cancellations made more than 30 days prior to the event start date. NO REFUND CAN BE ISSUED if you cancel LESS THAN 30 DAYS PRIOR TO EVENT START DATE, as we will have held a place for you, and it will be in most cases too late for others to book your space. We know that you understand.